Santa Monica Press, 9781595800466, 240pp. Featuring outstanding wine-label designs from more than 250 international vintners, this illustrated survey highlights leading designers who have elevated the design of wine labels to an art form. Tracing the history of wine-label design from its early use as a simple utilitarian way of cellaring wine to its contemporary role as the visual voice of the winemaker, this guide features full-color wine labels that have been praised for their bold graphics, unique illustrations, beautiful typography, captivating photography, and powerful words. 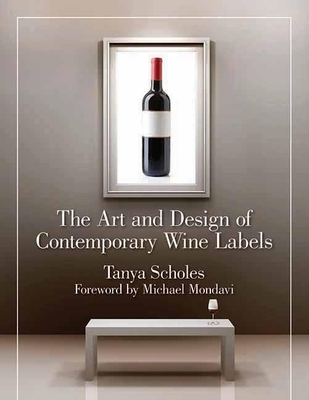 Each entry includes a profile of the wine, the name and contact information of the producer, the country of origin, and details on the design firms and artists responsible for the labels' creation. Interviews with the winemakers and designers reveal fascinating stories about the designs, such as the curious images hidden in the steam of an iron on the Dirty Laundry wine label; how the pairing of a donkey and a goat represent a shared philosophy and approach to the craft for a husband and wife winemaking duo; and the true meaning behind Bonny Doon's illustrative Il Fiasco label. Showcasing originality and creativity, these labels offer intrigue and entertainment, adding another layer of conversation to the experience of drinking a fine bottle of wine. Tanya Scholes is a floral designer who worked in the advertising and design industry for more than 10 years, during which time she gained a fine appreciation for graphic design, typography, photography, branding and packaging. She lives in Toronto, Ontario. Michael Mondavi cofounded the Robert Mondavi Winery with his father in 1966 and founded the Folio Wine Company in 2004. He received the World of Food and Wine Lifetime Achievement Award in 1995 and the Who's Who in Food and Wine Award from the James Beard Foundation in 1997. He lives in Napa, California.